Have you invested a considerable sum of money in your solar panel systems only to find they are no longer as efficient as they once were? This is most probably down to the build up of surface dirt which can lead to a big drop-in performance, reduced lifespan, may cause permanent staining, and affect your limited warranty. 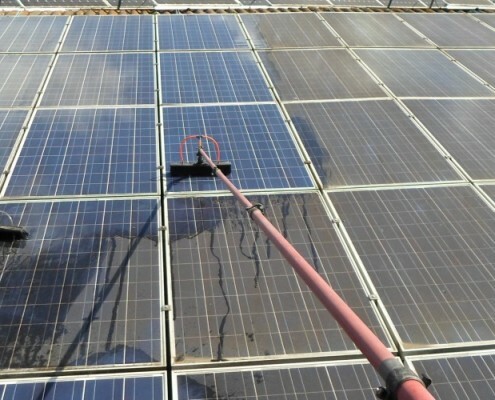 Regular cleaning will ensure maximum efficiency and output, maintain your warranty and ensure you get the maximum lifespan out of your solar panels. 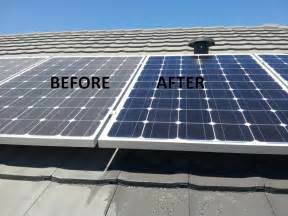 We advise that you consider one of our regular cleaning service programs to ensure those panels stay tip top, please call to discuss your requirements today.